At Concept 21 consumer trends are our passion. Our goal is to bring the latest technology and the brightest ideas into our consulting services. Our annual Trend Reports is a 60+ page document that communicates emerging trends that we think are most impactful in shaping our future. Today’s post comes from an excerpt of our 2016 Trend Report, which highlights an exciting shift that we see emerging in multiple industries: Producing products locally. Today more than ever, consumers want to make a difference in the world, and are doing so by selectively consuming products that reflect their personal values. This new consumer is more socially and environmentally conscious. Meaning they carefully consider the impact that products have on the world. Local production can address these consumer concerns by reducing industrial waste and bolstering local economy by creating new jobs. Gone will be the days of of complex supply chains that waste resources, by shipping goods around the world. Instead, local production will service the needs of the local consumer directly. Innovations in technology are allowing local manufacturing to be more feasible than ever. Future production and manufacturing facilities that utilize additive manufacturing (3D printing) techniques and automation will become smaller and function more like a bakery for products. These small regional production facilities will deliver just-in-time inventory and uniquely service their customers needs. The use of rapid assembly and automation allows a tech company like Yo Shirt to provide a customer experience never thought possible in the apparel industry. 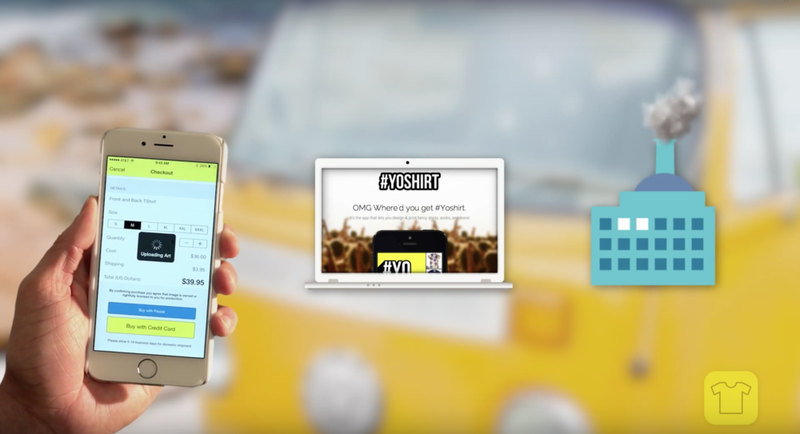 Customers design custom shirts though the mobile app and receive the shirt within a week. To do this, Yo-shirt uses the latest in fabric printing and automation as well as a skilled local workforce in their Los Angeles-based facility. Continuum fashion, a pioneer in 3D printed garments, has several high heels available. The Laurel Tree Sandal, represents the unique geometries that 3D printing offers. Continuum cleverly utilizes the use of affordable printing processes to create this product. These shoes are built when ordered, thus reducing the need for stocking inventory. People want to feel connected to one another. This is one of the reasons that local production is gaining such traction: Consumers love knowing who and what they are supporting when they buy a product. As the local production trend grows, consumers will choose locally-made products over a competing brands if they know that the purchase will directly benefit their community and support sustainability – both of which are common benefits of local production. The transition toward local production requires a new set of technological tools that provide flexibility, efficiency and cost reduction. New technological advances in rapid assembly, automation, and additive manufacturing are making it possible for companies to produce goods with smaller facilities and just-in-time inventory. These advances will allow us to be unrestricted by location, order volume, or technical ability.